The continent of Antarctica, the largest desert on Earth, is well known as the coldest and windiest place in the world. It is amazing to most that some plants and animals survive and thrive amidst these unforgiving conditions. Among those animals are several species of resilient penguins: the Adélies, Chinstraps, Emperors, Gentoos, Macaronis, and Rockhoppers. Penguins are social beings; they live in large colonies and nest in a rookery on the rocky (relatively) ice-free coasts of Antarctica. Adélie Penguin Pygoscelis adeliae. Photo by Kim, Hyun-tae. As if Antarctic penguins don’t have it hard enough, there is a particular waddle of penguins in East Antarctica that have been dealing with even more challenging conditions. It started with the surprising circumstance of a particularly colossal iceberg breaking away from the Ross ice-shelf (called a calving event) in the Ross Sea in 1987. This led the iceberg, named B09B, to drift towards Adélie Land in the Commonwealth Bay region. B09B then took up residence in Commonwealth Bay after it collided with Mertz Glacier Ice Tongue, also resulting in a subsequent break-off. 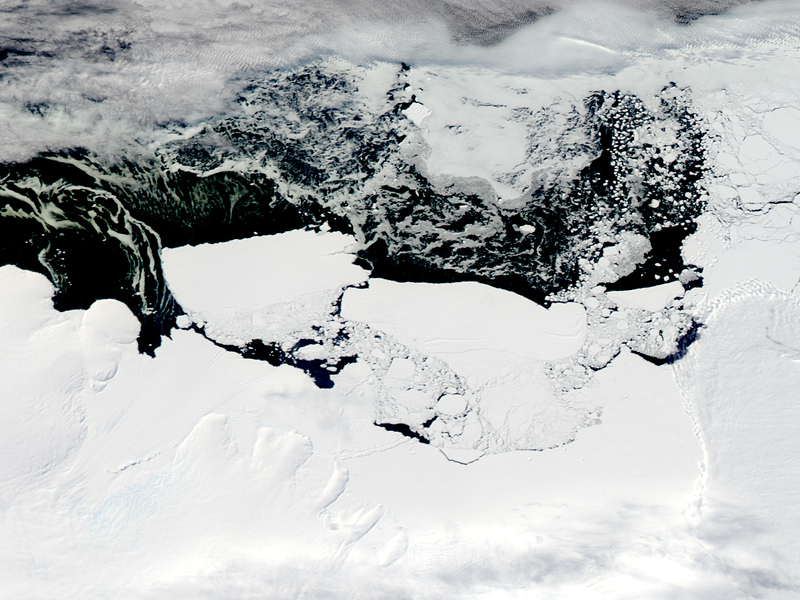 The B09B iceberg is a goliath; for scale, it is roughly the size of Mt. Aspiring National Park (97km x 39km) weighing over 800 billion tonnes. Generally, an iceberg stranding alone would not have disrupted the daily life of the Adélies. However, because of its extraordinary size and position, it changed the movements of the fast-ice in the bay, making it an unfriendly neighbourhood giant. The Commonwealth Bay was generally free of sea ice because of the life-giving winds forcing ice offshore (called polynya). Parked in the path of moving sea ice, B09B dramatically changed the ice dynamics in the region, allowing an expanse of year-round coverage up to 3 meters thick. Adélie chicks. Photo by John Barkla. Now, why is this build up of sea ice a problem for the Adélies, the champions of pack ice? Expedition scientists believe the iceberg’s settlement consequently lead to changes in how the penguins gather their food, breeding and other population dynamics. Adélie penguins require access to open water to fulfil basic life requirements. 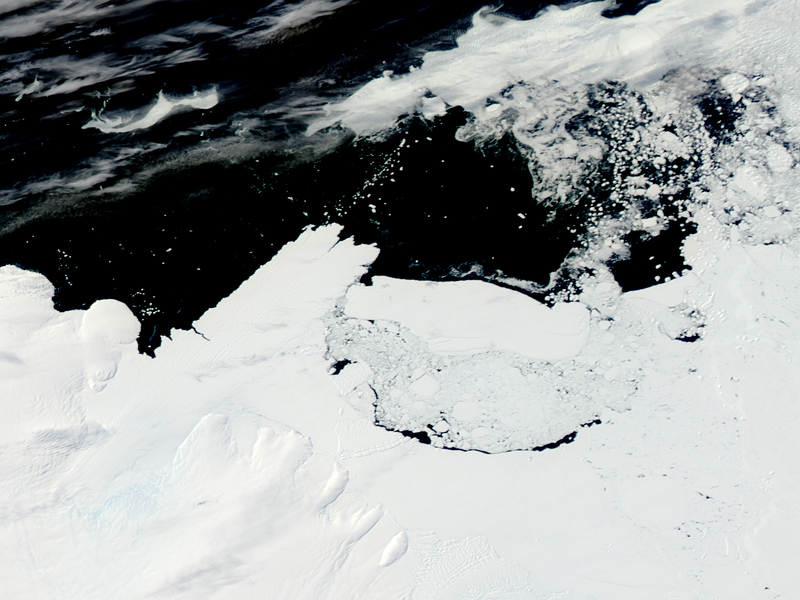 The extensive ice cover that developed in the bay caused quite a lengthy march for the penguins, as an additional > 60 km hike was tacked onto their commute to access the sea. The Adélie penguin’s breeding success and colony size are also closely tied to sea ice conditions; to thrive they should have access to open water within 2-3km of their colony to breed. The increased journey comes at a cost to the adults’ physical condition but more importantly, it impacts breeding success and chick survival. Scientists found evidence that the additional distance was way too far for the penguins to stomach, given that it was considerably outside the tolerable variation that they typically travel for feeding. As of 2013, the fast-ice in Cape Denison was so extensive that experts believe it was testing the tolerance threshold of the local Adélie penguins. In the last century, Adélie penguin populations in the Cape Denison and nearby Mackellar Islets have varied a lot. However, since the last census in 1997, a study from Dr. Kerry-Jayne Wilson, an honoured Lincoln University ornithologist, and her colleagues in 2016 plainly presented a dramatic decline for the Adélie penguins and the cause of this population plunge has a clear suspect. To be sure that it was the iceberg that was the true antagonist of this story, aerial photographs were reviewed with scientific observations of sea ice conditions between 2010 and the census’ that followed. They found that the ice extent development did, in fact, reflect the expectation that the iceberg came with its consequences. This was not all that they found; it appears the Adélie decline in Cape Denison was more calamitous than the recent (2011-2013) census had suggested. High numbers of penguin chick carcases and shell fragments lay strewn across the ground of the colony, illustrating extensive offspring abandonment, which depicts the colony’s struggle for persistence and survival. Iceberg stranding also affects primary productivity, upon which the penguins rely, which can have a domino effect throughout the food chain. This is especially important with polynya regions, such as the Commonwealth Bay. If conditions do not improve, Dr. Wilson and her team expect that these penguins could be facing a local extinction within the next 20 years. Iceberg, Antarctica. Photo by Tim Ellis. This iceberg phenomenon isn’t unique to the Commonwealth Bay. It is believed to have happened before, changing the penguin colony dynamics as we see in Cape Denison. Even more recently, it had been observed in the Ross Sea and the Antarctic Peninsula. Which brings to the forefront the research question that has us wondering about the decline’s connection to our changing climate. It is (or should be) common knowledge that changing climatic conditions and extreme anomalies are on the rise. For Antarctica, this would mean more iceberg calvings. Faced with extreme climatic events, animals may die, or move, sometimes leading to local extinctions and range contractions. Glacier and ice shelf calvings are sounding the alarm for the changing conditions in the Polar Regions. Our ice giants are spreading the word, they’re sending icebergs as their messenger – our world is changing. From the B09B story, we know icebergs can change sea ice conditions and test the resilience of neighbouring wildlife. The author Sarah Stephen is a postgraduate student in the Master of International Nature Conservation taught jointly at Lincoln University and University of Göttingen. She wrote this article as part of her assessment for ECOL 608 Research Methods in Ecology. Wilson, K. J., Turney, C. S., Fogwill, C. J., & Blair, E. (2016). The impact of the giant iceberg B09B on population size and breeding success of Adélie penguins in Commonwealth Bay, Antarctica. Antarctic Science, 28(03), 187-193. Next What did you eat today?